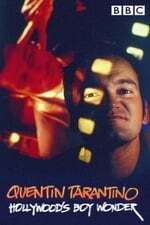 The BBC Omnibus series broadcasted a profile documentary on Quentin Tarantino in 1994 as Pulp Fiction hit the UK screens. It includes interviews with many of collaborators. It's shot in part in Quentin Tarantino Hollywood appartment and the Video Archives.